Dior is alive and well in Ventimiglia Alta. 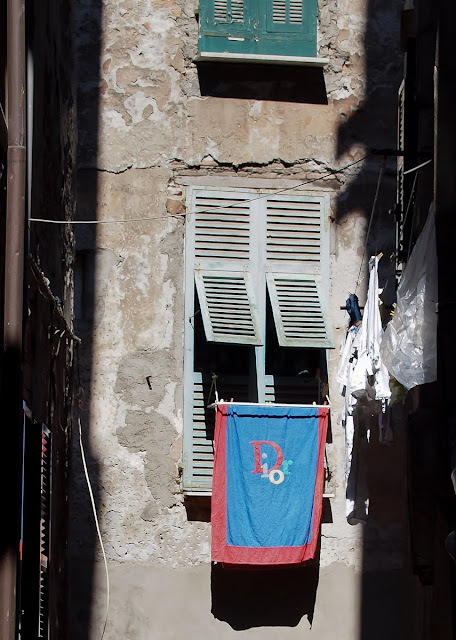 Dior est encore bien vivant à Ventimiglia Alta. I love your take on that. Hilarious! I am kind of confused about what I am seeing here. Maybe if I return later today I will find out . 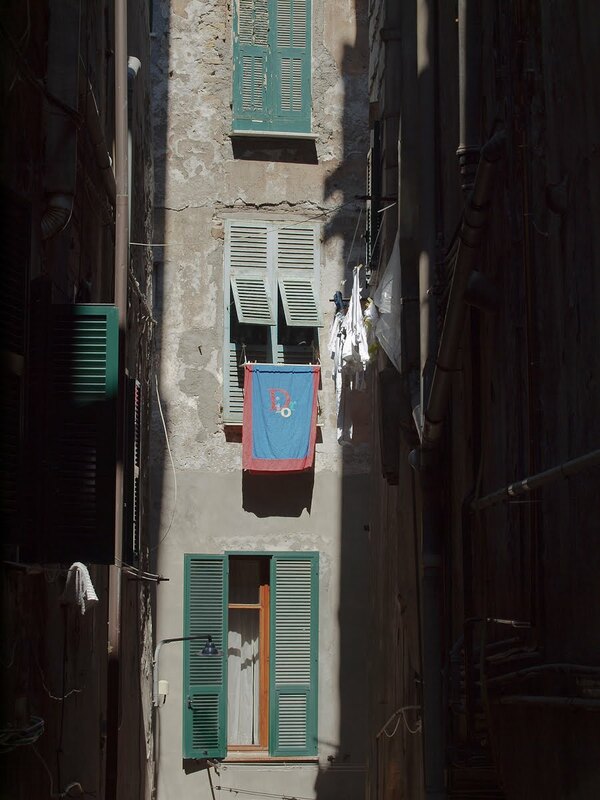 . .
Jack, you are seeing washing hanging outside houses in Ventimiglia Alta, which is across the border in Italy. I'm curious as to what you think you are seeing? Obviously the point of the photo is that DIOR is written on one of the towels. Haha. A wonderful capture. I took a hundred photos of laundy while there but never anything so classy as this. I can see where Jack is coming from, Jilly (that brings a wry grin to my face!). From the portal, I thought this shot to be an aerial shot looking down, as Nathalie posted for theme day. I had to reorient my eyes once I opened up your blog. What surprises me here in this alley, is that sufficient air circulates to aid the drying process. I bet that Dior towel was made in the boondocks of Thailand or somesuch. I like the contrast between the name of haute couture and the run down look of the house the towel is hanging from. I love it, for all its old and new, worn and chic. . .
Dior will be be happy and proud. La lumière mon amie, la lumière ! 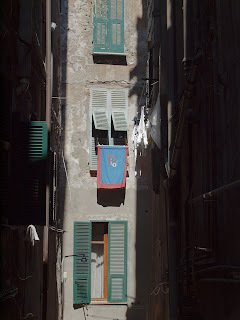 Ventimiglia Alta - I love Italians!